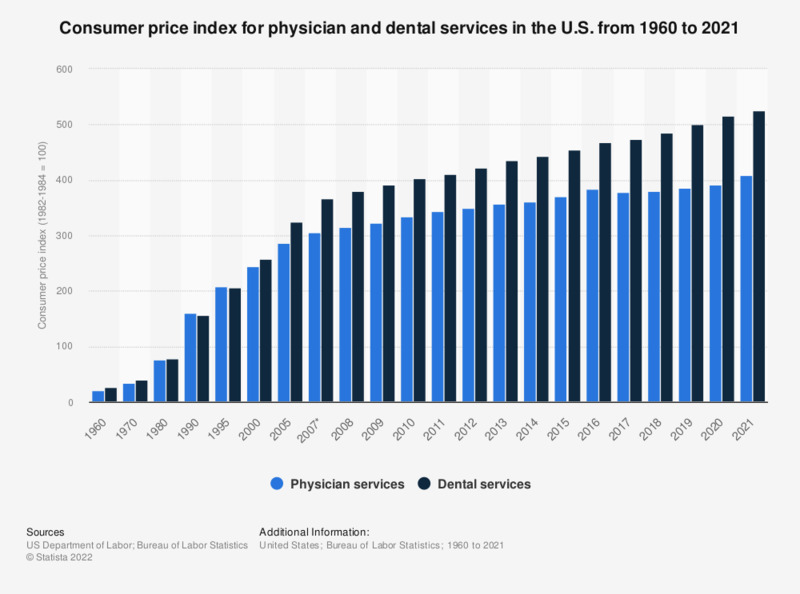 This statistic shows the consumer price index for physician and dental services in the United States from 1960 to 2018. In 2000, the CPI for dental services was at 258.5, compared to the period from 1982 to 1984 (=100). This index series was calculated using a Laspeyres estimator. All other item stratum index series were calculated using a geometric means estimator.